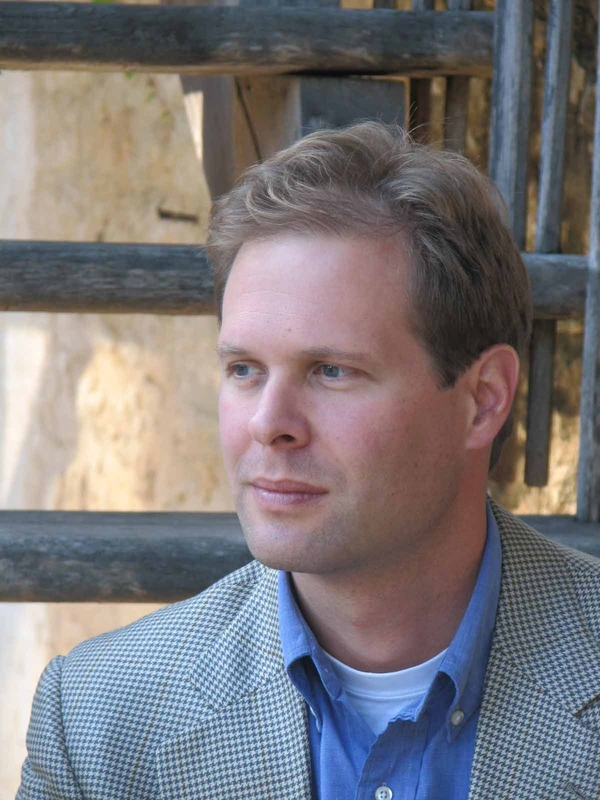 Today’s guest, Gregory Mose, is a much travelled author. His first novel, Stunt Road, is a satire on corporate greed; a book that will make you think and ponder life’s deeper issues. Shelagh: Please tell us more about yourself, Gregory. Gregory: I grew up in a suburb of Los Angeles wanting two things from life: to write books, and to explore. For a while the latter seemed to preclude the former. I went off to Harvard to study literature – to study it, mind you, not to actually produce any. Upon graduation I was offered the chance to work as a teacher’s assistant at a high school in Athens, so I spent a year of my life learning Modern Greek, appreciating ouzo and of course starting and abandoning a novel. I returned to the US to study law and then moved on to work for the United Nations in Guinea, a beautiful country in West Africa that, like most African countries, only makes the news when something bad happens there. From there I joined my then fiancée in London, where I found work as a corporate lawyer. In London I managed to finish my first novel, which promptly went into a drawer, and to produce a draft of Stunt Road. In 2005 we left London for very rural France with our three-year-old son, determined to escape the rat race. We’re still here, and with a little life experience behind me I have come to see writing and exploring as pretty much the same thing. Shelagh: When did you begin writing and in what genre? Gregory: My first completed work was a gripping yet emotionally satisfying tale of Flipper the Flying Squirrel, when I was seven. Shunned by big corporate publishing, I moved on as an adult to strive to produce literary fiction, although I still don’t quite know what that means. 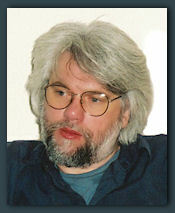 Gregory: I aim for writing that is thought-provoking, morally and emotionally challenging, and funny. I like to explore ideas, but to do so in an entertaining way. If I can provoke people to question the world around them without being pedantic, then I feel I’ve done my job. Message? If there’s a message in my writing, it’s simple to question your own motivations, to stop being complacent. Gregory: Stunt Road evolved from a very cynical conversation about astrology at a New Age restaurant in Los Angeles. I had suggested rather glibly that anyone could produce a system of divination and personality typing just as convincing as astrology as long as they had a spiritual-sounding pretext and a basic understanding of how to tell people what they want to hear. Stunt Road takes a step back and asks how society would react to such an endeavor. In the end, it became a satire on corporate greed, gullibility and the quest for meaning. It’s Frankenstein for the Age of Aquarius. There will be no “Stunt Road 2: Revenge of the nerds” or anything like that. Although it could be fun. Gregory: Pete McFadden refuses to question his success when his online spoof of astrology unintentionally turns him into a trendy self-help guru. But when his creation becomes the plaything of a manipulative cult leader and a ruthless multinational corporation, Pete learns that the pleasures of wishful thinking come at a high price. Gregory: I talk to them in my head a lot. I try to see through their eyes. For me, it’s the hardest part to writing, really being sure that characters stay true to themselves and not trying to make excuses for them. Shelagh: Who’s the most unusual or likable character? Gregory: Jake Simms, the philosophy PhD program dropout. Although I don’t explore his character in full detail, his charm lies essentially in his ambiguity. Even I am not quite sure whether he represents the attractive side of evil or the destructive potential of good. Gregory: I outline carefully, and then write, delete, deviate, rewrite and finally re-outline so that my outline corresponds to what has evolved in the narrative. It’s clunky, but I don’t know any other way. Shelagh: Do you have a specific writing style and preferred POV? Gregory: My signature style, if I have one, is the use of humor to highlight moral ambiguity. And generally to avoid trying to puff out my writing with arcane vocabulary that sends even my most educated readers scrambling for their dictionaries. If we need literature to “save” words like “noetic” or “crescive,” Mr. Roth, then quite frankly they are already lost. And good riddance. As for point of view, I’m drawn to first person narratives, but after my experience of writing Stunt Road I’ve sworn off them. Conveying everything through one point of view felt like using a VW Bug as a moving van. Gregory: We all write from a certain point of view. I suppose all my writing is ultimately colored by my upbringing as an upper middle class white Los Angelino whose main ambition was to escape from upper-middle-class-white-Los-Angelinohood. The themes of privilege, escape and exile are always there in what I write, even when I don’t particularly intend them to be. Gregory: I grinned ear to ear when one Amazon reviewer wrote: ” Strong writing, heady moralistic battles laced with sharp wit, and a cinematic feel make this a very enjoyable read.” That felt good. Gregory: I’m currently working on novel set in Guinea in the late 90s during the Sierra Leonean civil war, based on events I witnessed while working with refugees there. 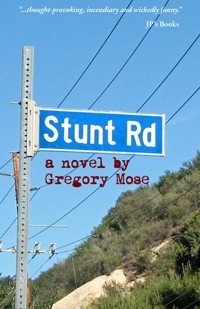 Gregory: My website www.gregorymose.com should have everything anyone would want to know about Stunt Road. It’s also where I blog about life in the French countryside. 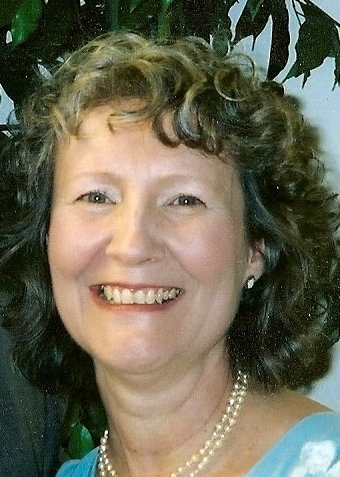 Dianne Sagan was raised in Texas and is now a full-time ghostwriter and author. Shelagh: Please tell us a bit more about yourself, Dianne. Dianne: I have been a story teller in my family since childhood. I’ve always loved reading and books. My background includes degrees in History and Communications. I’ve been writing professionally since 2002, beginning with a regular editorial in the regional newspaper where I live. I’m an internationally successful ghostwriter with one of my books hitting the Best Seller list on Amazon.com.ca (Canada). 2009 has been a busy year with three books released – Rebekah Redeemed, Shelter from the Storm, and an anthology Flash Tales. I am also a consultant, group facilitator, and inspirational speaker. Dianne: I got the bug for writing in high school. The English program included a regimen that taught us how to write essays. I fell in love with it. Years later when I had children I wrote stories for them and used their names and antics. I really think that I always wanted to be a writer. Shelagh: When you started writing, did your books have an underlying theme? Dianne: When I first started writing, I felt the need to write down what was spinning in my head. At first, I just enjoyed the process and began working on the craft of writing. Even though I put off really focusing on becoming a writer until my kids grew up, I knew that someday I wanted to be a full-time writer. When I write a book or a short story, I try to entertain the reader but usually have an underlying theme. To date, my books have a theme of hope, strength, and overcoming your conditions for a better life. It is a reflection of some of my own experiences. Shelagh: Briefly tell us about your latest book. Is it a series or stand-alone? 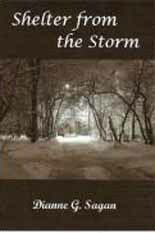 Dianne: Shelter from the Storm is a contemporary novel that focuses on the turning point and personal growth through violent circumstances of the main character, Brittany Camp. It is set in Seattle during the worst snow storm in fifty years. It can be a stand alone, but I am working on the beginnings of a sequel with ideas for a couple more books with the same main characters sharing different circumstances. In Shelter from the Storm, award winning author Dianne G. Sagan tells a story that is all too real and all too prevalent in our society, but Sagan will have you on the edge of your seat, in tears, as you open your heart to Brittany and her children. Brittany peered out the window. Abel could return home at any moment. She knew that if he caught her and the children they might never escape. With trembling hands, Brittany dialed the number. Dianne: I develop my characters using several sources. I’m a people watcher and see interesting faces or over hear conversations in restaurants that spark my imagination. The Institute for Social Research at the University of Michigan developed a model for understanding the interaction between situational response and influence. I use these styles as part of the process. I also like to find pictures in magazines that look like my character. I then put the picture on an index card and write down basic information about them. I usually do this for all the major characters. As I begin writing, I also allow my characters to develop along with the story. As far as settings, I use places that I’m familiar with in most cases. If I’m writing about an area I haven’t been before, then I research in depth everything from maps, pictures, and talk to people who have been there. I also read other books about the area or that are set in that area. I do use internet sources, but spend hours at the library. Dianne: In many ways, I am an organic writer. A lot is developed in my head before I ever start writing. If I think of some ideas, then I will jot them down and keep them in a folder. When writing fiction, an outline forms as I write as I see where the story is going, that way I don’t get too far off track. However, when I am writing I give myself permission to change directions if it is better than where I thought I was going with the plot in the first place. Most of the time I know where I want things to end so I work on making the elements of the story and the situations end up in the same place even if they come from different directions. My style has been described as lean, sensitive, honest, and emotionally compelling. My preferred POV is third person. However, even though it is not as popular as it once was, I also like to use the omniscient point of view so that you can have different chapters that focus on different characters view points. You just have to be careful when using it so that you don’t confuse your reader. Dianne: I actually have a second book coming out December 2009 as well, it is an anthology Flash Tales: An Adventure in Words. I am one of five contributors. The stories are flash fiction, each no more than 100 words using a series of required words. It’s quick and fun. We even give the reader space at the end of each series of stories to try their hand at a 100 word story using the same words. I am currently working on the second book in the series, Touched by the Savior. Its working title is The Fisherman’s Wife. The first book came out earlier this year, Rebekah Redeemed. In addition, I have notes started for a sequel to Shelter from the Storm. 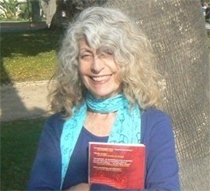 Dianne: People can learn more about my books at my website: http://dgsagan.tripod.com or on my blog where I have guest bloggers, discuss writing, ghostwriting, and life as a writer http://diannesagan.wordpress.com. Shelagh: Thank you for joining us today, Dianne. Dianne: Thanks for the opportunity. Caryn Gottlieb FitzGerald has a passion for writing and sharing her heart with others. After watching the manuscript from her first fiction novel, Tulips in the Sand – A Riley Matthews Mystery sit on a shelf at home for sixteen years, she set the goal of seeing her book published and on store shelves, reaching people around the world. 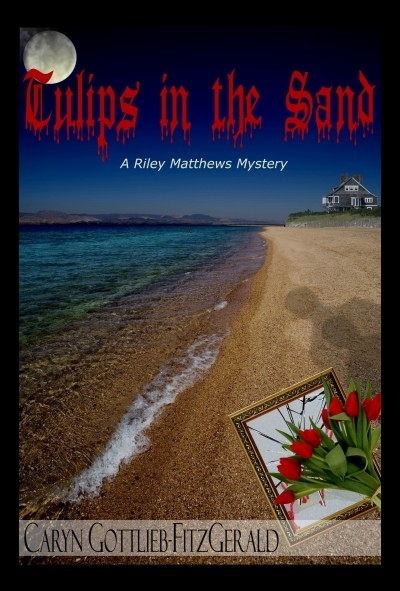 Her intention became reality when Tulips in the Sand – A Riley Matthews Mystery was published in July 2008 and has been intriguing fiction and mystery lovers ever since its release. Shelagh: Please tell us about yourself, Caryn. 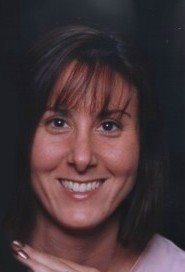 Caryn: I reside in a small town south of Fort Worth, Texas with my family. I enjoy spending time outdoors and I’m actively involved with my daughter’s school and in the local community. I hold a B.A. in Criminal Justice and a certificate in Women’s Studies from Florida Atlantic University in addition to a Masters degree in Professional Studies in Human Relations from NY Institute of Technology. I am a former LPC (Licensed Professional Counselor) and I’ve worked within the criminal justice system with medium security inmates as well as in the community sector and with survivors of domestic violence. Today, as a life coach and motivational speaker, I share my story of surviving and thriving after living with eating disorders, abusive relationships and being trapped within the corporate world. Shelagh: When did you first begin writing, and in what genre? Caryn: I started writing as an outlet for expressing my creative side. My goal was to be published. I first achieved that goal in 1995 and have received the honor again several times since then. I’d like my readers to grasp the message that life is something that we create for ourselves. Enjoying what we surround ourselves with is key. I use writing as a method of expression, consider myself a writer and an artist and surround myself with others who feel the same about their creations. Shelagh: Briefly tell us about your latest book. Is it part of a series? Caryn: My latest release is entitled Tulips in the Sand: A Riley Matthews Mystery and it is the first in a series centering about a young woman named Riley Matthews who, as a result of life’s challenges finds herself wrapped up in the center of crime and mystery and of course romance and passion. This particular novel was written in the early 90s and having it published was a dream come true. Caryn: My writing style has changed over the years, but mainly I enjoy creating characters that are easy to relate to and that I can sink myself into, becoming the character for the time period required to advance development. My writing is usual set in places I have personally spent time in and enjoy reliving within my writings. Shelagh: Who is the most unusual or likeable character? Caryn: I hope each reader will have a different feeling about this. I personally had a lot of fun creating the character of Taylor as he was modeled after a friend who, upon reading the book said “hey, I know this guy!” Riley was also a lot of fun to develop for the first book. Currently, I am working on another book in the series in which Riley has matured a bit and is going through some things that more adults will relate to and her changes are fun for me to develop as well. Caryn: I have several techniques and am always open to trying new things. For example, my habit is to write each scene longhand and then type it up afterwards which leaves me with hundreds of these little seventy page count notebooks full of highlight marks and corner folds marking important information such as character descriptions. I do create an outline before I start a book and will talk it out as I go along. I have found over the years that my initial story is never what the end result is, because as I fall into the story I see things that the characters would be doing that I may have missed in the original outline. Being open to change and the creative process is key. I also make sure to write something every day as that keeps me in the thick of things as the work progresses. Caryn: My favorite writing style is to write whatever comes to mind as I create the scene. I like to pretend I am in the scene and imagine what the characters are feeling and seeing as they interact. As for POV, I am grateful to have an editor who keeps me in line because if I had my way, my readers would be able to enter the minds of all of the characters simultaneously and experience the scene from all vantage points. Mainly I focus on the POV of the main character, in this case Riley, and will usually add a second POV from another key character. Shelagh: How does your environment and upbringing color your writing? Caryn: I don’t know that my childhood upbringing colors my writing, but my personal experiences as an adult certainly have. I was a therapist for many years working within a men’s prison and from working with inmates who have committed all types of unspeakable crimes, I have learned that the human mind is capable of anything and if written well, the reader can be lead to believe they are part of the experience, evoking all types of emotions, including new ones they may have never experienced before. Cool book … cool ending! That Taylor WAS a madman!!! Caryn: I am always writing. Currently I am working on another book in the Riley Matthews Mystery series, my memoir (2010) and two self-help/non-fiction compilations. I blog almost daily at: www.EmbracingMyJourney.com and also contribute to The Washington Times Communities – Life Online Section, where my column, “Changing Your Life, Living Your Passion” can be read daily. Caryn: The best place to start is at: www.CarynFitzgerald.com as that will provide folks with information on my current projects and events. I love connecting with my readers and encourage people to drop me a note and introduce themselves. Shelagh: Thanks for joining us today, Caryn. Caryn: Thank you for the opportunity to be featured on your site. 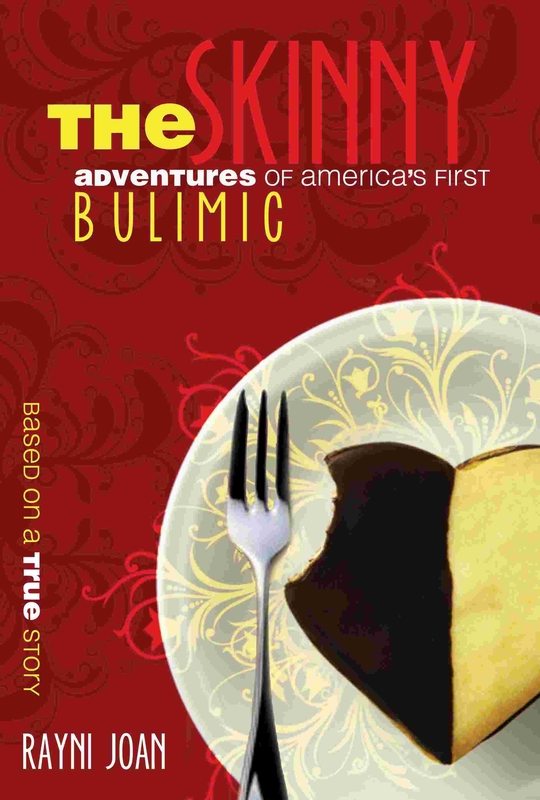 I would like to welcome Rayni Joan, author of The Skinny: Adventures of America’s First Bulimic. For twenty-five years – from pre-adolescence way into her mid-to-late thirties – Rayni walked around hiding what she thought was a shameful secret: she made herself throw up. For almost the whole time, she thought she was the only one in the whole world! Rayni: I grew up as Roberta Joan Weintraub in Newburgh, New York, during the 1940s and 50s. During a critical period in the early 1970s, I was part of the Liberation News Service collective, where, for $35 and ten free meals per week, I researched and wrote news and feature articles. It was during this period that my feature article, Women, Fat of the Land, appeared widely throughout the U.S. It was June, 1970, and I became the first public confessor to the then unheard of habit of binging and purging, later diagnosed in the 1980s as bulimia. Although the word and the fact of “bulimia” were largely unknown at the time, my story containing my confession was published on the front pages of dozens of alternative weekly newspapers, where it struck a chord with more than a million women readers – a chord that resonates to this day. Shelagh: When did you begin writing? Rayni: I wrote my first story, about a lonely elephant baby, when I was five. Not a slender gazelle. Not a purring kitten or a dog with a wagging tail. A lonely elephant baby! A smart prognosticator probably could have predicted my whole life based on that! Shelagh: Please describe some of your journey that ended with the writing of The Skinny. Rayni: As someone who “tumbled up” with little real guidance, and consequently struggled with low self-esteem and an eating disorder, when I had kids, I didn’t want to make the same mistakes my parents made. (I didn’t. I made different mistakes!) At the age of sixteen, one of my sons handed me several thousand dollars and informed me he’d been playing blackjack at a casino. (He lied about his age.) Despite my pleading, he continued to play. I joined Gam-Anon, a 12-Step Program for family members of gamblers and had no luck getting him to attend Gamblers Anonymous. I spoke openly to my group about my history of bulimia, and when someone asked me whether I’d be willing to tell my own story to a large group assembly, I agreed – and my son agreed to attend. In my presentation, I talked about my childhood, about the way no- one in my family had paid attention to my throwing up, and how I wished they had stopped me. I talked about the way my therapist, whom I had trusted, had abused me. I told the group of about two hundred that the saddest thing in my life was my inability to communicate to my son the long-term harm and pain an addiction can cause. By the time I finished, after long applause, and after acknowledging those crowding around me to express their gratitude, finally, I returned to my seat. My then seventeen-year-old was in tears. He hugged me and thanked me. He said he’d had no idea what I’d been trying to tell him. The following week he wrote an article for his high school paper about his gambling addiction and his intention to end it immediately. By then, he was the school bookie, and he formally quit. He was already in therapy and continued for many years – and is now a wonderful, loving, thoughtful and supportive young husband and father. Because sharing my truth helped a few people I touched, including my son, I had the incentive to write my slightly fictionalized story in the hope of reaching and inspiring large numbers of people to have the courage to heal. Shelagh: Why did you fictionalize your story instead of just writing a memoir? Rayni: Two reasons: First, I’m not a celebrity so I didn’t think anyone would care about Rayni Joan’s story. Second, James Frey’s hoax memoir made me super sensitive to inaccuracies in my story caused by my own imagination. So I decided to write a story parallel to mine but with some changes I wouldn’t have to explain to anyone. Shelagh: Have the reactions from readers of The Skinny been what you anticipated? If not, how are they different? Rayni: There seems to be no middle ground to the reactions to The Skinny, and that surprises me. People seem either to hate it or adore it. A (former) close friend of mine told me she would never read a book that had child abuse in it, and that surprised and also hurt me even though I have to respect her truth. Wouldn’t most people want to read their friend’s secret story? I would! Some readers think it’s weird the way Rowie talks to angels and “guides.” Others tell me the same thing is cool. I thought more people would object to the liberal use of cursing, particularly the f-word. I haven’t heard that criticism. But I’m pleased that just about all readers agree that the book is well-written. I hadn’t anticipated that. Also, I’m surprised that some men like the book a lot. I thought it would be only a “woman’s book.” It seems to contain some universal truth that strikes a chord with anyone who struggled to figure out what the hell their life was all about because they sure didn’t learn it from their parents. Shelagh: What’s your favorite moment in The Skinny? Rayni: I enjoy the special connection between Rowie and her piano teacher, the first real teacher in her life. Jimmy Wilson teaches Rowie far more about life than anyone else ever did. Insecure and fearful of failure, Rowie learns from Jimmy to welcome mistakes as guides that help us to learn. He truly inspires her. It’s a warm, healthy relationship. Shelagh: Are you now finished with Rowena, or do you have plans for writing another story about her? What can you tell us about her next story? Rayni: I’m definitely not through with her. There’s a whole new trajectory I see for her – some of my personal “paths not taken” which she’s eager to embark on. Also, like me – and characteristic of people who were abused kids – she has the tough job of dissolving the false self she created as a childhood defense and reinventing herself from scratch – without the eating disorder. That will include her development as an artist and spiritual being – and, of course, falling in love. Shelagh: What do you say when people call The Skinny another example of chick lit? Shelagh: Where can people find out more about you, Rayni? 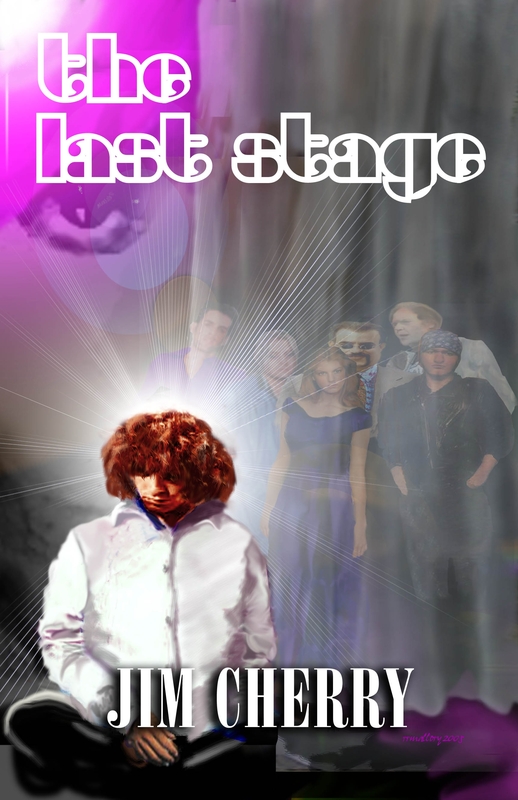 Jim Cherry has written three books: the semi-autobiographical novel Becoming Angel, a collection of short stories, Stranger Souls and the Doors inspired novel, The Last Stage. Shelagh: Hi Jim, please tell everyone about yourself. Jim: I grew up in Chicago in the sixties; I remember and absorbed it all. I remember being born and the kaleidoscope images of childhood. My mother read to me, acting out the characters and put the pictures in my head. I danced on a corner and made it rain, I discovered magic or power, it was child’s play. Art was another early discovery when I saw a bunch of girls crowded around a fellow classmate I looked over to see what was going on, he was drawing Peanuts characters. I read just about everything that came my way; a writer has to live both in his imagination and the world of experience and I think I’ve done both. I lived the first twenty-three years of my life in my imagination. From the earliest years reading about pirates, baseball players, racecar drivers, mythology and after I put the books down the adventures continued in my head and backyard. If you want to know more about me you can find me in the pages of my books, in between the lines. Shelagh: When did you first begin writing and what did you write? Jim: I started writing when I was thirteen. I read about Ernest Hemingway and how a writer can be an artist and I wanted to be an artist but can’t draw. The first thing I ever wrote was a Mad Magazine style satire, complete with traced out drawings from Mad. My mother laughed and I took it wrong; I had intended it to be serious fiction. Jim: The goals I started with in writing don’t seem to be the ones I’m accomplishing. The writing process seems to have taken on a life of its own and the books seem to create themselves as I go along. Yes, there is a message I want readers to grasp but I don’t want to say what that is because I don’t want to impose my bias on the reader. I want readers to be free to find whatever message they do find. I’ve written things where I thought the message was pretty clear but other readers saw other things in the piece and I couldn’t discount it, because I saw that they could be right. I don’t want to bias the reader with my interpretation which may or may not be right. Shelagh: Briefly tell us about your latest book. Is it the first in a series or stand-alone? Jim: The Last Stage. I think too many writers take on too much withwriting a series of books. In the past I’ve read some series by some to the best writers and they don’t always stand up. While I admire the imagination and dedication writers take in creating a series, I like all my novels to stand on their own; I don’t want to commit my readers to too much. Or maybe I don’t want to commit myself to too much! Jim: No. When I start writing I know the beginning and the end of the story, but as I write the middle tends to write itself and I’m usually surprised at how things work out. Jim: I usually write in the first person. I really don’t set out with the POV in mind, I just find that first person is the best for giving the reader the sense of immediacy and participation in the story that I’m looking for. Jim: I was raised in middle to upper class suburbs and still live in them, so that’s where most of my settings occur, it really isn’t anything conscious it’s just as the characters develop that’s their background. And my characters aren’t the type that the more status conscious residents of the suburbs want to see. My characters usually are struggling with the world they find themselves in, they either don’t fit in or are having trouble trying to attain the goals associated with those suburbs and its residents. This book has long intrigued me as a Doors fan, and now that I have read it, I am completely wowed by it. What would it be like to be Jim Morrison performing up on stage? Read this book and find out. It’s very well written, and includes details about all the little things that Doors fans appreciate. That gives the book a very real, almost non-fiction feeling. I kept saying “yes! yes!” as I read it, because the book totally nails a lot of the emotion that Doors fans have for the band. The characters are vivid, and their dialog snappy. But most of all, the descriptions of the various locations made the book come alive. Like the various bars where the band plays their gigs. And the road trip they go on throughout the midwest. From Chicago to New Orleans, I felt like I was right there as I read it. I got a kick reading about the various girlfriends and “Doors groupies” that they met on the road trip. Some of them were laugh out loud funny, others were sad. But all were fascinating to read about. The main character has a very complex character, and I was immediately drawn in to trying to figure out what made him tick. Was he just a devoted Morrison fan? Or did he have a self identity problem? Every scene that unfolded had me even more engrossed in trying to figure out what he was trying to accomplish. By the end of the story, this guy was in Los Angeles, getting ready to perform at Whisky a Go Go, carousing with aging rock stars and actors, interviewing agents and screenplay writers, reliving Jim Morrison’s lifestyle, and exploring all his old haunts. I won’t give away the ending, but it is very, very poignant and real. Jim: I actually have quite a few projects in mind. I currently write articles as The Doors Examiner which are about the rock group The Doors. As far as creative writing, I’m working on a novel, Ghosts, which is about the death of a friend of mine, and the ghosts we carry around with us throughout our lives. I also have another Rock ‘n’ Roll novel up my sleeve titled Ghost Dance (yes, I may be in a ghost period, like Picasso’s blue period!) it’s about an American Indian rock band that hits the big time. It’s a bit of a thriller.